The Nikon D3400 is a great entry-level DSLR with a superb image quality. Hence, in this article, we discuss the 8 best lenses for Nikon D3400 digital cameras. 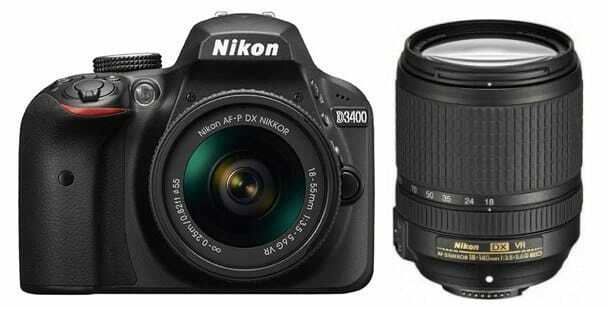 We chose the Nikon D3400 lenses discussed below based on price, usefulness and image quality. The lenses we recommend for the D3400 are best for both complete amateurs and highly advanced photographers. For professional photographers, we suggest the prime lenses as they really allow you to get that professional look thanks to their large aperture. 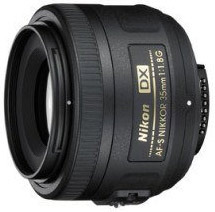 This Nikon 35mm f/1.8G AF-S is undoubtedly one of the most affordable Nikon lenses on the market. It is small, however, it is also optically wonderful. Why might you ask? With its large f/1.8 aperture, the lens gathers more light than most other Nikon lenses of similar size which means it is great for low light scenes like clubs or parties or night photography. What does this mean for you? You get less blurred images and more high-quality shots when capturing photos in dark places. For DX cameras like Nikon D3400, autofocus works flawlessly. So, what else is good about this lens? For starters, it offers shallow depth of field. A feature that allows you to completely blur your backgrounds and make the subject of your photo stand out. However, don’t just take the written word for it, check out the below YouTube video to see the lens in action. This lens is good for Wedding, portrait, casual, low light, indoor photographers. However, it does not do so well in wildlife photography. There is also the Nikon 50mm f/1.8G AF-S. It is an upgrade from the former best selling 50mm f/1.8D. The latter of which did not support autofocus capabilities on the D3400. A DSLR that has no AF motor. On the other hand, the upgraded lens allows for autofocus and works even better than the predecessor. In terms of image quality, it features the same aperture as the above-mentioned 35mm lens. However, due to the longer focal length of the 50mm lens, the bokeh or background blur is more refined. Perfect if you love a shallow depth of field on your images. The lens is a bit heavier and bigger than the 35mm. However, it also supports 58mm filters and is still a rather compact lens. This lens is good for both professionals and amateurs. It works great for extreme low light, clubs, street photography, to portraits and weddings, sports, animals, products and more. Have a look at it in the below video. What Are The Best Lenses for Nikon D5300 Cameras? Next up is the Nikon 85mm f/1.8G AF-S lens. Do you normally do wedding photography? How about portraits or street photography? Then, this is a good lens for you. With superb image quality, beautiful colors and bokeh, this 85mm lens is truly a gem. Why is it a good lens? Firstly, the focal length makes it perfect for situations where you can’t or don’t want to get in front of your subject (typical for concerts and weddings). Furthermore, the 85mm is just right for photographing faces. Wider angles have a tendency of distorting faces. Lastly, like the previous two Nikon D3400 lenses, it features a f/1.8 opening. Hence, you can take photos in low light without issue. This lens is good for people wanting to do wedding photography or street photography. 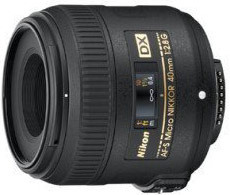 Finally, on the list of prime lenses for the D3400, is the Nikon 40mm f/2.8G AF-S Micro. Don’t be fooled by the micro in its name. It’s a macro lens and it packs a punch. With a 40mm focal length, product, bug and even portrait photography produce stunning results. Autofocus and image quality are good with the Nikon D3400 because this lens was made for DX cameras like the D3400. It features quick and precise focus, which is good for photographing moving subjects. Furthermore, the lens has a close focusing distance of 6.4 inches. This lens a for anyone who wants an affordable, high-quality macro lens. 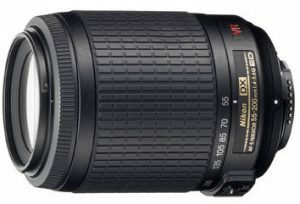 Here’s our first recommended zoom lens, the Nikon 18-140mm f/3.5-5.6G ED VR AF-S. We call it the allrounder. It is a better version of the standard 18-55mm kit lens. With near 100mm more zoom, you can get good shots for wide and standard photography as well as telephoto shots. A good option for travel and general photography. Furthermore, image quality, colors, and contrast are improved compared to the 18-300mm. Typically, more zoom results in worse quality, however, you lose 160mm on the telephoto end. 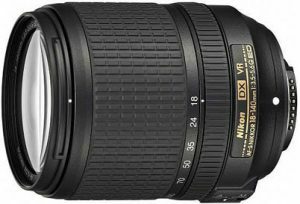 There is an alternative in the Nikon 18-300mm f/3.5-6.3G ED VR AF-S. However, it costs 200 dollars more. This lens is good for anyone who wants an all-purpose lens that greatly improves on the default D3400 kit lens. This is the only non-Nikon manufactured lens on the list. 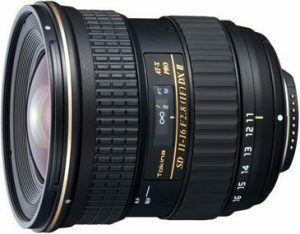 The Tokina 11-16mm f/2.8 AT-X Pro DX II is cheaper than other lenses at the same focal length. However, it provides the same and sometimes better image quality than most others. Without raising the ISO, and with an aperture of f/2.8, it is easy to photograph in low light, clubs/indoors. So, if you like landscape, sky/night, indoor, club photography. Get it! However, only get it if you know you need the f/2.8 aperture for low light. 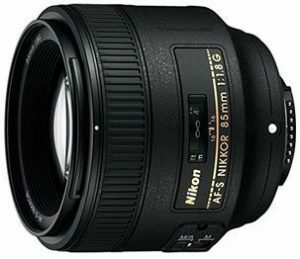 Back to Nikon made lenses, we recommend the Nikon 55-200mm f/4-5.6G ED IF AF-S VR for your D3400. It’s an affordable lens that is good for wildlife and sports photography. Like most low-priced lens, it has a plastic mount. But, it feels solid and offers good image quality and autofocus. Hence, for outdoor activities, sports, animals, planes, this is the lens for you. 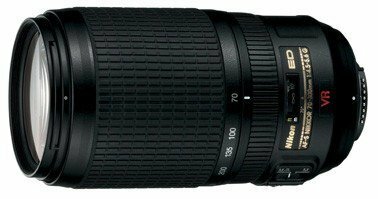 Finally, we present the Nikon 70-300mm f/4.5-5.6G ED IF AF-S VR. A bit more expensive than all the lens mentioned before, this zoom lens offers improved image quality and much faster autofocus, especially in difficult focusing conditions. Basically, if better quality than what the 55-200mm offers appeals to you, then get this lens if you aren’t willing to spend too much. It works great for all sorts of outdoor photography. Sigma 18-35mm f/1.8 DC HSM – It’s like 3 wide angle lenses in one. Sharp, big f/1.8 aperture and less than $1,000, perfect for low light, street, and general photography. Sigma 150-600mm f/5-6.3 DG OS HSM – The most affordable super telephoto zoom with great quality, AF speed and image stabilization up to 4 stops. Sigma 30mm f/1.4 DC HSM – Razor sharp and simply one of the best lenses out there from any company. 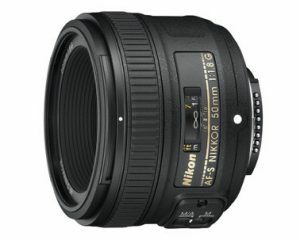 Nikon 50mm f/1.4G AF-S – Same image quality and sharpness as the f/1.8 above, but slightly bigger aperture, so get the f/1.4 if you often shoot in low light conditions and don’t like using high ISO speeds.